About | Laura Willhoite, D.D.S. Dr. Laura grew up in Claremore, the daughter of Dr. Jim and Mary Marshall. She became interested in dentistry while working for her father in his dental office. She attended Claremore Public Schools from Westside Elementary through Claremore High School, graduating in 1987. She was honored to be a National Merit Finalist that year. She was accepted into an accelerated dental program at the University of Missouri-Kansas City (UMKC) School of Dentistry. She also played on the UMKC Women’s Golf Team for two years. She graduated from UMKC in 1993 with a combined BA/DDS degree. She completed her orthodontic residency at UMKC in 1995 and returned home to open up her orthodontic practice. At that time, she also had a satellite practice in Muskogee, OK which she maintained for five years, electing to practice strictly in Claremore after the birth of her first daughter. Dr. Laura married Todd Willhoite in June of 1997 and they have two daughters, Sarah and Kelly. They enjoy traveling together; especially taking road trips. They have driven as far as Banff, Alberta, Canada. The Willhoites attend the First United Methodist Church in Claremore. Dr. Laura is an avid reader, enjoys helping with the Generation Next Youth Group, studying the Bible, and has recently begun playing golf again after taking many, many years off! The Willhoite family also includes two dogs; Faith, the bird dog, and Mickey, the mutt. While in dental school, Dr. Laura was selected to complete in the Caulk Densply Student Research Competition where she placed third in the nation for her presentation, “FTIR Photoacoustic Spectroscopic Analysis of Structural Variation in Dentin.” Two abstracts related to those experiments were published in the Journal of Dental Research. She was a contributing editor of the Orthodontic Review Journal during her orthodontic residency. Currently, Dr. Laura is a member of the Rogers County Dental Association and the Tulsa County Endo Study Club. She is also a member of Orthotown online discussion group for orthodontists. 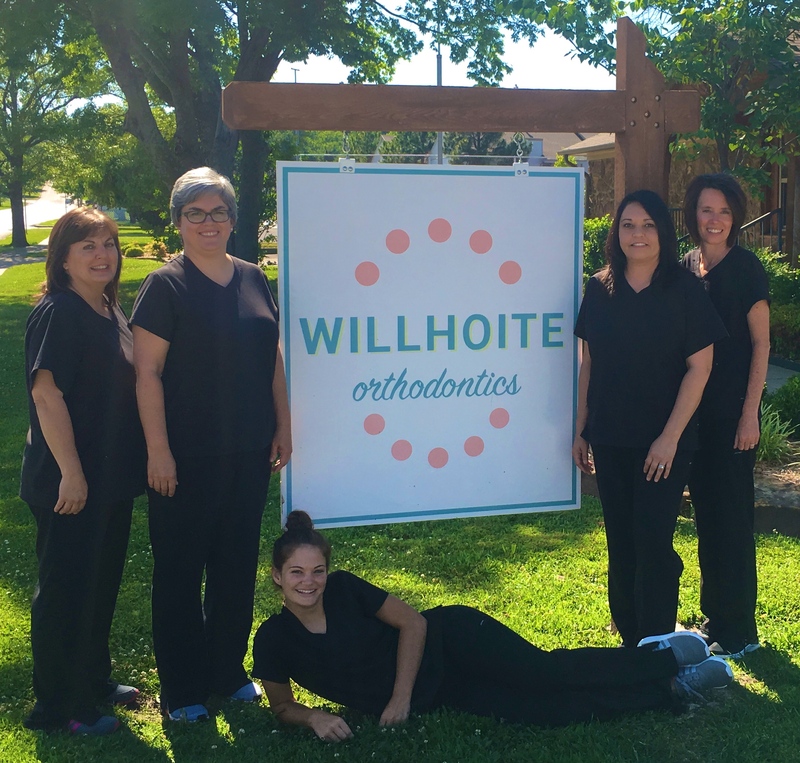 Lori has been an orthodontic assistant for Dr. Willhoite since 2002. Originally from Douglas, KS, Lori graduated from Kansas State University with a degree in Special Education. She is certified in Radiation and Safety and Coronal Polishing and Topical Fluoride by the State of Oklahoma. She is married to Kevin and they have three grown daughters; Haley, Gentry, and Addy. She enjoys cooking for her extended family and spending lots of time with her grandchildren. Leslie has been Dr. Willhoite’s office manager since 2004. She schedules the appointments, answers all billing questions, and is an expert in proper utilization of orthodontic insurance. She also handles filing for flex plan benefits. Originally from Wetumka, OK, Leslie attended Eastern Oklahoma State College. She is married to Tim and they have one grown daughter, Courtney. Leslie enjoys reading, crafting, woodworking, and traveling with Tim. Addy has been an orthodontic assistant since 2017. An Oologah High School graduate, Addy went on to earn an Associates Degree from Rogers State University in Social Sciences. She has completed her Radiation Safety Course required by the State of Oklahoma. Addy is the youngest of three daughters and loves spending time with her niece and nephew. She enjoys anything outdoors and loves to travel. A former college soccer player, she is an avid sports fan as well. 1100 W Blue Starr Dr.